A little about your self `ie your education Family life etc. I left school at 16. Played bass in a couple of post-punk bands. Worked in a second-hand record shop. I live in Poland teaching business English. Have a 16 month old son. Guns Of Brixton will be out in the next few months from Caffeine Nights Publishing. It’s a bawdy, crime fiction romp set in London. I started writing flash fiction in 2008 because I read a lot of it online and enjoyed it. I thought I’d give it a shot! Can’t hang a man for that! Maybe over the last year or so though I still see myself as more of a dilettante. In most aspects of life, to be honest. I really just write up things that have happened to me or anecdotes I’ve heard and try to stich them into some sort of entertaining narrative. Guns Of Brixton is the title of a song by The Clash. It’s a London based book and they were/ and still are the ultimate London band even though most of them were from outside London. There are many real-life instances in Guns Of Brixton but it’s a work of absurdist comic fiction and even- maybe especially- the true parts are absurd. The Picture Of Dorian Grey by Oscar Wilde, Damon Runyon’s On Broadway and Robert Mitchum’s It Sure Beats Working. I’ve just finished Uv Ray’s Spiral Out and am starting Graham Greene’s Brighton Rock again. It is a master class in Brit Grit. There’s a lot of good stuff about but, just off the top of my head, in the last year or so I’ve read beaut stuff from Nina de la Mer, Jon Bassoff, George Beck, David Siddall. 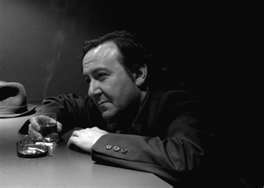 The Neon Boneyard – an occult crime mash-up/ re-mix and Too Many Crooks, another knock about crime farce. I’d put more swearing in it. I’ve always liked stories and storytelling. There was a great program on television when I was a kid called Jackanory which I loved. Only over the internet superhighway. I love TV, always have, and there’s lots of my kind of thing on telly now, so: Justified, Ray Donavon, Utopia, Silicon Valley, Breaking Bad, True Detective, Happy Valley, Scott & Bailey, Fargo, Arrow, Ripper Street, Whitechapel. Recent films that I’ve enjoyed: Guardians Of The Galaxy, Captain America: The Winter Soldier, God Bless The Girl, Only Lovers Left Alive, The Selfish Giant. Music: I’ve been listening to a lot of power pop recently. Found a cure for cancer? In snow smothered Warsaw, Luke Case, a boozy English hack with a dark secret, starts a dangerous affair with a gangster’s wife. 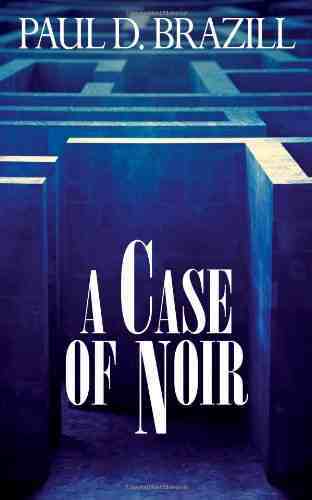 Case escapes to the sweltering Spanish heat where he meets a colourful cast of characters, including a mysterious torch singer and a former East End villain with a criminal business proposition. In stormy Toulouse, he encounters a blast from the past that is positively seismic which forces him to return to England and confront his past. 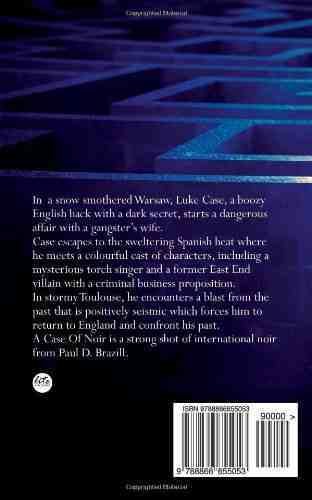 A Case Of Noir is a strong shot of international noir from Paul D. Brazill. Great interview from one of my favorite writers! You should do like me and steal all your plots from dead folk.